There are a number of things that each organization in MLB could do to help improve the health, fitness, athleticism and performance of their most important commodity, the players. First, there should be a full-time, certified strength and conditioning coach at every level of professional baseball. As part an agreement with the MLB Players’ Association, every organization currently employs at least four full-time strength and conditioning coaches. Each organization has a certified strength and conditioning coach at the Major League level, a minor league coordinator and a coach at the AA and AAA levels. While several organizations have more than four coaches, every organization could benefit from adding coaches at all levels. Teams have hitting coaches, pitching coaches, position coaches and trainers at every level. Why not strength and conditioning coaches? Minor league baseball coaches are responsible for developing future Major League players. They teach teamwork and game strategy, improve stroke mechanics, teach pitch selection, situational hitting and base running and develop proper fielding and throwing skills. They enhance pitching performance by improving fielding skills, refining mechanics, developing consistent release points and teaching the importance of changing speed and pitch location. While each of these is essential for player development, wouldn’t it be advantageous to have a staff member who could enhance the skills being taught by the position coaches by making players bigger, faster, stronger, more power powerful and more athletic? Repetition is essential for the improvement of skills, but taking a 100 swing per day will not improve strength and power at the plate, nor will throwing a bullpen improve velocity. Likewise taking ground balls, fly balls and PFP will improve fielding skills, but will not develop the explosive speed, quickness and athleticism needed to charge slow rollers, swinging bunts and low line drives, get to balls in the hole, back up a base and make running over the shoulder plays. Coaches teach and refine skills. Strength and conditioning coaches help players perform these skills faster, with more power and more athleticism. Every MLB team has an “organizational way” of teaching skills. Coaches teach the same mechanics for hitting, fielding, throwing, pitching, etc. at every level to ensure that when a player moves up the ladder there is continuity in the way that he executes every skill. Continuity ensures that there are no surprises that could negatively influence the outcome of a game and saves valuable preparation time because you don’t have to teach a new comer how to do something “our way”. The same goes for strength and conditioning coaches. Using interns at the lower levels while economically more profitable than hiring a full-time coach and an essential service to the profession, can waste valuable preparation time and disrupt continuity. Interns, regardless of how competent they are, are seasonal help. Many have limited practical experience coaching their own team, a short training period (spring training) and are then sent off to implement the “organizational plan” in places that have less or different equipment than that used in spring training. They have to constantly make adjustments to equipment, travel, injuries, etc., and their primary life line, especially at lower levels, is often a relatively young athletic trainer and an experienced coordinator who is a phone call, text message or E-mail away. And, when the season ends, you have to do it all over again – find, train and supervise a new intern. All of this can be avoided by having a full-time coach at every level. Interns can be great additions, but for maximum effectiveness, they should assist a full-time, experienced coach, not replace him. Teams should have two strength and conditioning coaches at the Major League level, a head coach and an assistant coach, just like the NFL. You might assume that one coach should be able handle 25 players, but the most effective programs have personalized programs for each player. While the basic principles are the same, pitchers have different needs in terms of exercises, frequency, intensity, volume, etc. than position players. Likewise, starting pitchers are different than relievers, speed-finesse players have different requirements than power players and catchers are in a class of their own. There are usually one or two players on the disabled list needing to work out early, players with unique injury histories requiring special consideration and that one guy who can’t seem to do anything on his own. Add to this the fact that half of the games are played on the road, often in places without a visiting team weight room and this makes the one coach – one team approach difficult. The assistant coach must have experience in professional baseball, be certified and registered and should have expertise in an area of strength and conditioning that complements that of the head coach. 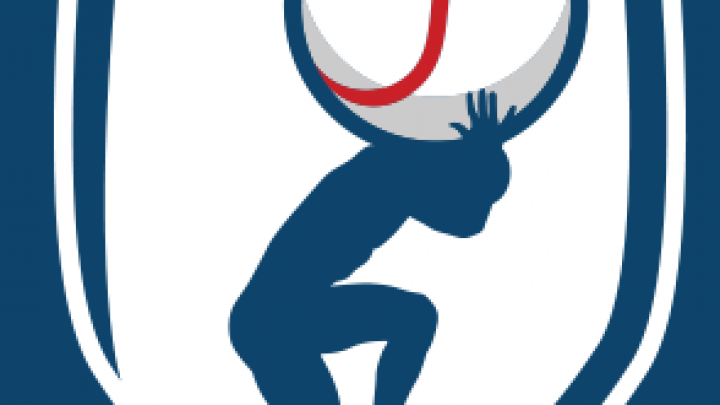 If, for example, the head coach’s expertise is in planning and supervising resistance training exercises, the assistant might be a movement specialist who could ensure that players are well trained in starting, stopping, jumping, landing, changing directions and other movement skills. Other areas that might be explored include physical therapy, muscle activation, biomechanics, recovery techniques, etc. Minor league coordinators should have an assistant with a specialty similar to the assistants at the Major League level. This would be a new position, assistant coordinator for minor league strength and conditioning and movement training coordinator for the organization. The responsibilities of this position would be to assist with the development and implementation of the organizational plan for strength and conditioning and the development of movement training programs for the entire organization. Research indicates that many injuries in all sports are the result of faulty movement patterns. The creation of this position would help ensure that everyone in the organization is developing the appropriate movement skills at the right time and in the correct manner. This approach would enable the strength and conditioning coaches to provide consistent, comprehensive, progressive movement training to each player in the organization. Modeling for the Future. It will take time to plan and develop an ideal model that integrates strength and conditioning with coaching, player development, athletic training, sports medicine, etc. that could be adapted by all MLB organizations. 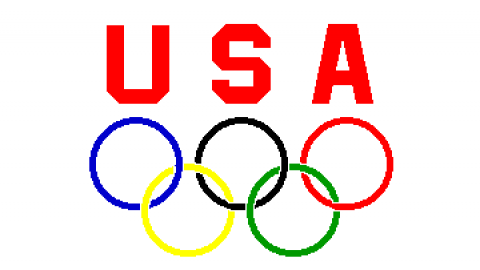 A good place to start the planning process is with the various US Olympic Training Centers. While they might not be perfect, they have demonstrated great success in preparing elite athletes in a variety of sports. Examining the various Olympic plans and programs will provide the opportunity for baseball to gather information and avoid reinventing the wheel. We could start by looking at the performance areas similar to baseball (speed, strength, power, agility, injury prevention, recovery, sports nutrition, sports psychology, etc.). The next step would be to identify and develop the appropriate timelines needed to make it happen. The end product would be working models for post-season, off-season, pre-season and in-season conditioning, recovery, injury prevention, sports nutrition and player development. There is a tendency in baseball to focus on one thing at a time, such as a hitter’s swing or pitcher’s release point. There should be a bigger picture approach. Practical and scientific data are needed to determine which exercises and drills are most effective for enhancing a specific skill, when is the best time to work on the skill, how long and often to practice the skill, how much rest and recovery is optimal for recovery from workouts and skill practice, etc. Ideally new programs and procedures should start at the lower levels, not at the MLB level. It takes time for new ideas, programs and procedures to work their way up and be accepted throughout the system, but this avoids making dramatic change at the top. It might take four to five years to work the model in gradually, making adjustments so that by the time an athlete gets to the MLB level, it is something he is familiar with and accepting of. Gene Coleman, Ed. 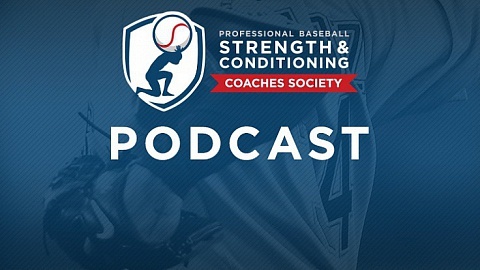 D., RSCC-E, FACSM, was the Head S&C Coach for the Houston Astros from 1978-2012, has been a strength and conditioning consultant for the Texas Rangers since 2013 and is currently Professor Emeritus in the Exercise and Health Sciences Program at the University of Houston – Clear Lake. Great article. Since my son is the S&C Coach for the Portland Seadogs any advancement in the profession is great for an up and coming young man to help build his career.